Sahir (Ilker Kaleli) works for Istanbul police as a suicide preventer. He is a psychiatrist who talks with people who are on the verge of committing suicide and tries to prevent them committing suicide. After his wife Ekin (Berrak Tuzunatac) died 2 years ago, he dedicates his life for saving other people’s lives. Sahir is unhappy in his life. He feels responsible for not saving his wife’s life. Whenever he goes to his house, he sees the ghost image of Ekin who either watches TV, eating something or just staying without speaking. Agah Beyoglu (Haluk Bilginer) is a 65 years old man who is retired from judiciary. He has an ordinary life with his cat. Even though he lives in the most crowded district of Istanbul: Beyoglu, he seeks for silence and respect all the time. Agah’s wife passed away 5 years ago, and his only child went to Sydney, Australia and after then Agah starts to live all alone in one of the buildings he owns. Agah’s life changes dramatically when he is diagnosed with Alzheimer. He is at the beginning stage of this illness but he already starts to forget some important functions such as feeding his lovely cat and buying gasoline for his car. Before forgetting all his memories, Agah decides to commit a murder he has planned for years. He goes to the judiciary where he worked years ago and takes all the criminal records. After then, he makes his plan in detail. Gonul (Gokce Bahadir) is a young woman who has been raised in an orphanage. She becomes a successful surgical nurse and lives by herself in a cozy house in Istanbul. She has been engaged with Tekin (Onur Saylak) who works at the same hospital as a successful brain surgeon and plans to get married to him soon. Tekin comes from a wealthy family and has everything in this life except love. He tries to overcome his own traumatic past and for this reason, needs Gonul’s love and support. He seems to be perfect in every aspect but in fact, he has some physiological problems that he hides from everyone. Gonul and Tekin start to make preparations for their wedding. Tekin’s father does not approve this marriage because he thinks that an orphan Gonul is not a proper bride for their wealthy and prestigious family. Despite his disapproval, Gonul and Tekin do not want to end their relationship and aim to be happy together. 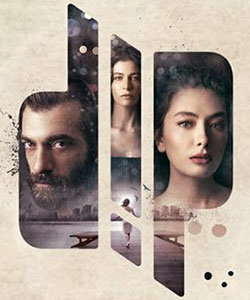 While Gonul goes to her wedding dress rehearsal, Tekin’s ex-girlfriend appears all of a sudden and tells Gonul some disturbing secrets about Tekin. The ex-girlfriend tries to persuade Gonul to stay far away from Tekin and tries to explain that Tekin is a very dangerous man.